My complaint is that the Beginner's Challenge has been handled somewhat shoddily in comparison to the Intermediate Challenge. Nobody was quite sure if they were judging or not and although the judging closed at 10am NY time, it is now almost 20.00 GMT and no final results have been posted. Would this be acceptable in the Advanced Challenge? ...gone..... too easy to misunderstand what I said. My later post says it better. The winner is Batman (alex_lord)! Congratulations! Well done too to my fellow not-winners (we are not losers ) We all made the effort to enter and next time we will be better. So I wanna see you all in the Beginners Solea Challenge - final details announced this weekend. concratulations to all superheroes. Everybody did a great job imo. Big up for the judges, flo and gjm, such a nice thing you organiced. This was an exiting experience , I'm happy it continues with the solea challange. Congrats everyone! And congrats Alex_lord. I thought that this one was somewhere between beginner and pre-intermediate, and not really absolute beginner. (i dont know most of the participants well and dont know how long they play guitar, so it is difficult to say someone is winner and the other one is not. It depends how long you have been in to flamenco. So, everyone is somehow a winner imo). I am so sorry, this is exclusively my fault. Although I took this later competition quite seriously, I have been remarkably busy and could not keep my promise to post results by 10 am this morning. I was in criminal court, and the interest I was protecting was overwhelmingly more important. However, I cannot help but feeling guilty to the eager participants. Please accept my apology. Perhaps, I should stop offering my volatile services. Irene too was very agitated by this post. I explained to her the old saying "no good deed goes unpunished". This is my last post on this forum. Last post here in this thread, or last post of FF? If the latter, that doesn't seem necessary? Hopefully you mean last post on this thread only. I think it all went well. We are all doing this for fun and people should not get so impatient about things. I was going to submit an entry but had to travel. 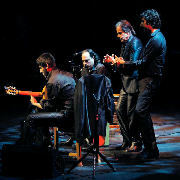 (I'm in Shanghai now) I love flamenco and am thankful for any efforts members have made to make this a better forum. Thanks for your efforts specifically. I hope not. Both you and Irene have done a marvelous job organising these challenges, and you have become an integral participant in the forum. It would be a shame and would spoil the good feeling we have all had from these challenges. It is totally understandable that you had other commitments that took priority. We have to be a little bit flexible here in the virtual world with us all on different time zones. If you decide you cant stay then our best wishes go with you and thank you for everything you have done, and that goes for Irene too. I'm sorry that both you and Irene were upset by this. I don't think it was really your fault, I think a lot of the judges forgot to judge - they thought their job was finished after the intermediate challenge! But we can learn from that, and in future competitions can set a deadline for closing judging and send them lots of reminders. As a participant I'm not too worried about the delay because we all knew that Batman had won, and rightly so. Really not a big deal. You both did a great job, and you were the first so had to design the process from scratch. I on the other hand, will shamelessly copy all the good things you did! Funny that both winners are named Alex (Aleksi) :-) Congratulations to you both. Michelob! Leave?? Nonsense! You've done a super job. Small glitches are to be expected. I have a long speech below that I was typing up when the drama started, so I thought I’d say a few words on that subject first. gj Michelob: I am positive that everyone here appreciates your (and Irene’s) contributions. It is a wonderful thing when people go out of their way to do something for others. I am certain that you read more into Ron’s message than he had intended to convey. Even if you didn’t, Ron is just one man. This forum is made up of hundreds if not thousands. In a setting like this, the community matters, not individual opinions. Your contributions are to the community and, as always, not everyone will be satisfied. This has to be accepted as part of human nature. Without further ado, here is my now somewhat bittersweet, acceptance speech. First of all I want to thank Florian and gj Michelob for organizing and conducting this challenge, as well as Jason and the anonymous capo contributor for the prizes. It was a great and well-executed idea. This is the kind of thing that elevates an anonymous online meeting place to a real community. I hope that this is just the beginning of a regular feature on this forum. Next, I want to thank my fellow contestants. Without you there would not be a competition. Obviously we are all on slightly different levels, so it is very hard to judge fairly. I can tell that everyone worked hard and I am very impressed with all of your entries. In particular, when I listened to Aleksi’s, I thought he had me beat for sure in terms of flamenco vibe (sound, aire). Finally, I want to thank all the members for making this a real community. It is rare to encounter such a combination of expertise, passion, and willingness to contribute. I can not believe that I waited so long to participate. I’ve only been active here for two weeks, but I feel that I have already improved more than I had in the previous 6 months. I look forward to actively participating. it'd be a BIG loss to not have your contributions anymore. morale would suffer too. these challenges wouldn't have been possible without you. Thanks also to all the judges. It was great to get comments back on my playing. Thank you very much for all your effort and hardwork. I really appreciate all the time that you have dedicated to both challenges (while working and having a normal life) I wish we could give you both a prize. I can mail you something small from Nicaragua if you want? Oh, wait I just thought about the perfect gift. pm me your mailing address. Thanks again. p.s. I don't have a lot of money, but I can send postcards to the judges if they want. PM your mailing address to me. Yes, I'll send it to you, even though you didn't pick me for first place. you should have done this BEFORE the challenge! that way, you would have won! No stuff like this probably wont be acceptable in the advanced because whomever organizes has the luxury of watching someone do it before them and take the good stuff and leave out the mistakes..its alot eazyer to know where you going when you been there once or twice before we were the test monkies in space lol..
Ron i wish you had stoped, taken a second before you made that post and take a look around you, look at the new posts and new threads, think of the effort that was put in ( for weeks both Michelob and myself went way our of our way, for weeks now, organizing, planing, pming judges,asking judges, reminding judges.. chasing prizes, not just a couple of days).. balance out in your head the benefit of your comment....vs what was achived, all you have to do is take a look around you to see that..
but i know you didnt mean it as harshly as Michelob seems to have taken it, i just wish that you took a second and analyzed what good can come out of it thats all Michelob is not used to your bluntness..
honest ... you were absoluteley spot on everytime, u have more then exceeded you duties by 150%, thank you amigo and ofcourse thank you Irene. I would be heartborken if you left..
Also whomever questioned Michelobs dedication ( if anyone?) should be aware that he is the silent sponsor that out of the kindness of his heart donated..the Cejilas and postage...for the winner of Beginner and Intermediate and Advanced, before anyone else donated anything..and for absoluteley no benefit to himself since he inssisted that he didnt wanna be credited for it..
and the scores went up a few hours late...so what, big deal, this is not the olimpics, some things came up ...it happens..
Rest In Peace Ron, I will never ever forget you my friend. gj, do I have to flood your email box? I will if I have to - you are not leaving! I demand it!!! And Irene has been awesome also. Ron is a bit blunt at times, that is why he is cool in my book. This is just a simple misunderstanding. We can't have everyone threatening to leave with their last post on the forum. Seriously, come back and don't stick to some high principles, you are a lawyer are you not! PS congrats to all the beginners, you are not beginners in my book! Congrats Alex, Canada wins again! Thats right. But I think we should end our actual challenges at first before starting more. If you eat your favourite meal every day... it will get normal and boring in future.. So lets dont overdo it. I totally agree and I think that what can be read in this thread shows that Doitsujin is right. I´ve been a lurker on both the intermediate and the beginners challenge and it has been a real pleassure and a very possitive thing for the forum. BUT I dont think its a good idea to overdo it. Just like I wouldnt like to have christmas every second day and new year every other day. i could see your point and would agree with you if they werent into it or doing it half heartedly..but it appears that they are driven and commited..dont put off something that has momentum now for something that may or may not happen or have momentum in the future..
Firstly congratulations to Alex and to all the other participants in the beginners' challenge for having a go! Thanks to all foro members for taking an interest too. As a final note may I suggest that the winners be BANNED FOR LIFE from entering any more beginners' challenges! ¡este arbol tiene duende, cabron! Also whomever questioned Michelobs dedication ( if anyone?) should be aware that he is the silent sponsor that out of the kindness of his heart donated..the Cejilas and postage..
wow, i can see how he might feel a bit unappreciated. what a nice guy, really. we need more stand up fellows like him in this world. on the topic of competition frequency, maybe we can do a cycle. one competition a month in sequential order, one at a time. this might make things more manageable. so beginners this month, intermediate next month, then advanced. just do a cycle. should we open a new thread to discuss what we've learned from these challenges and what we can do differently next time? i feel like there's three different conversations here. No it will not be accepted to be late in the advanced challenge. It will all be done very precisely as it is planned. There are clear deadlines for sending the audios and the results, as for posting the results. The prices are quite expensive...and the callengers work hard for that. Its a big thing for me to get it done smoothly. Accepted. Work is more imporant than the challenges here. Everyone should accept this. Michelob, dont let a single post worry so much. But you dont look for a reason to quit the foro because you dont want to say, that the foro takes too much of your time? Yes, reading the foro sometimes takes a bit too much time.. I only read threads which interest me. I´ll post some more stats a little later. I´m sick today with 37,8 celsius... I post the stats earlyer if I manage to rob over to my stand alone pc with the windows office... The office08 for mac doesnt have the options I need for that.. Well... thats a + for using windows... haha.. Amazing. It's no reason to resign your membership though. I just felt that this Challenge had a kind of mist of miscommunication about it as to dates and judging etc compared to the Intermediate Challenge. If I had been a competitor, I'd have felt that I was getting third rate treatment because I was only a beginner and should just shut up and be grateful for anything I might receive. My post was not specifically directed to you gj, but as a general "heads-up" to organisers and judges for future challenges. My feeling is that if entrants are good enough to spend their time taking part, then it's our duty to see that they get properly treated. As folk say gj, I tend to cut to the chase and be rather direct with my comments, so don't take any personal offence and don't leave the Forum. I understand your position and there is no need to apologise to anyone. On the contrary amigo...we are all very grateful for your time and generosity and we all wish you to stay. Edit: No my post wasn't directed at you either Flo, or anyone in particular actually. I think the lesson to be learned from this is to be better organised with more realistic deadlines etc that meet folk's other real life commitments to work and family etc. So before embarking on "challenge mania", I'd rather see a few well organised competitions rather than heaps of chaotic ones myself. This is how I read it as well and I didn´t find it to be to harsh or anything else. Do we have a cultural problem here? Those of us with genes in to the rude North sea are known to be VERY direct in our laguage. Florian, I agree with you and I wasn´t thinking about stopping anything of course. I just felt that Doits post was very relevant. i didnt think it was that harsh either and and i know Ron didnt direct it at anyone specific however Michelob and I were the only ones organizing it lol..its just nice to have him make an effort to put Michelob and Irene at eaze..Irene is a guest who dosent know us but has gonne out of her way putting an effort in to help us..we could look a tad bit ungrateful...however you read it and wherever you are from..
Beginners didnt get second treatment because they were beginners they got it because they were the second ones in the cycle if anything...but i dont think they did..
absoluteley the same conditions, same prizes, same judges, took approx the same amount of time to score them 3 days, got more feedback from judges..
the only reason the Intermediate was rushed in that part of it was because we had the deadline to meet so that it didnt interfear with this..
and they seem to do, and i appreciate that our efforts are appreciated, so everyone is happy..so theres no need to make a problem where there isnt one theres no need to end it on a negative note for no reason..
sometimes things in life dont always go as planned, big deal..you deal with it .. you work with what you have you dont turn around and start pointing fingers at those that have tried to do something for you.. Thank you all for the warm encouragement to reconsider my impulsive resignations. I am embarrassed I caused this distraction at a time when we should have praised the completion of the competition and its participants. I suppose Ron is correct in realizing that I reacted to his post under the pressure of a rather hard day. It really was. While I am tempted to indulge in analytical explanations, I realize how childish such futile exercise could be. I love this forum and its lively constituency, including its administration . We did well with the competitions, after all, and there is still fun to hope and work for. 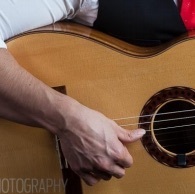 One final point, I wouldn’t be into flamenco if I didn’t have a dash of hot-temper. I thank you for not holding it against me. [ps… Florian, I love you amigo, but you betrayed me!!! lol… however you almost got me into tears when I read your (betraying) post. Yay!! gjm is back with us!! i want to thank everyone, especially flo, gj, jason and the anonymous benefactor, for making these happen. i am one of those players that need the pressure of a deadline to make me focus. i hope these challenges continue and become institutional as they provide a goal based structure and it really has raised the level of participation with all of these submissions. its like a workshop now and its great to attach sounds and styles to members.